Why do houses look the way they do? Why do dome have small windows, while others seem to be all glass? Why do some hug the landscape, while others are tall with very steep roofs? Why do dome people live in mansions, while others live in mobile houses? Can you imagine a house that looks like an elephant or a shoe? 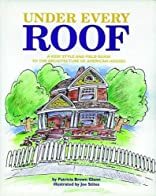 Children and adults will learn about the history of domestic architecture, the styles of the houses we live in, and the terms for the architectural elements that compose the buildings. Use the pictorial field guide to investigate your own house, then take it along on family outings to identify different architectural details. Under Every Roof features more than 60 houses from 30 states and the District of Columbia that are listed in the National Register of Historic Places; many of these are house museums that are open to the public. 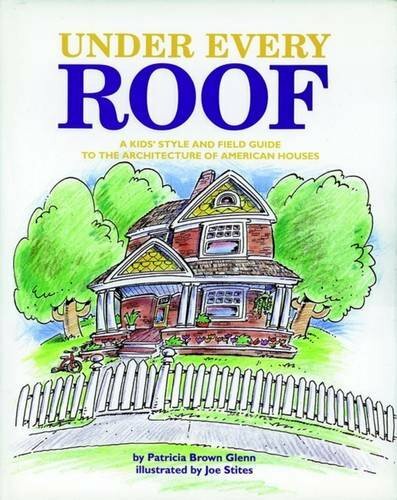 Kids need to understand the house they live in, so the book also includes a wide variety of regional styles and architectural types. The full-color, watercolor illustrations add a unique, gentle humor to the text.